Attention deficit hyperactivity disorder (ADHD) affects 1 to 10% of children and is characterised by a persistent pattern of inattention and/or hyperactivity/ impulsivity. Over one-half of children with ADHD have associated conditions, including learning disabilities, conduct disorders, poor coordination, depression, anxiety, obsessive-compulsive disorders and bipolar disorders. CNS stimulant medication used in the management of ADHD is not permitted for use in competition by the International Olympic Committee (IOC) and this poses a problem for the physicians of patients with ADHD. 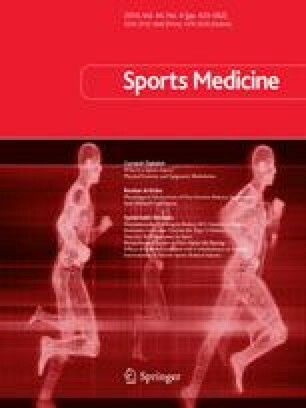 On the one hand, attention and concentration are improved by stimulant medication and fine motor coordination and balance are improved after methylphenidate administration, but these therapeutic and sport-related benefits are not available to the athlete with ADHD who wishes to compete under IOC rules. It has been suggested that treatment with methylphenidate may be suitable for athletes with ADHD, as cessation of therapy 24 hours before competition is usually adequate to allow drug clearance which should avoid a positive result being returned on drug testing. More research is needed to establish whether stimulant medication for athletes with ADHD provides an unfair advantage in competition.